THANK YOU all for coming to our Open House on October 11, 2015. Your presence warmed up the whole house. We are grateful for all your gifts, services, and joyful spirits. Thank you for being here and celebrate this event with us. 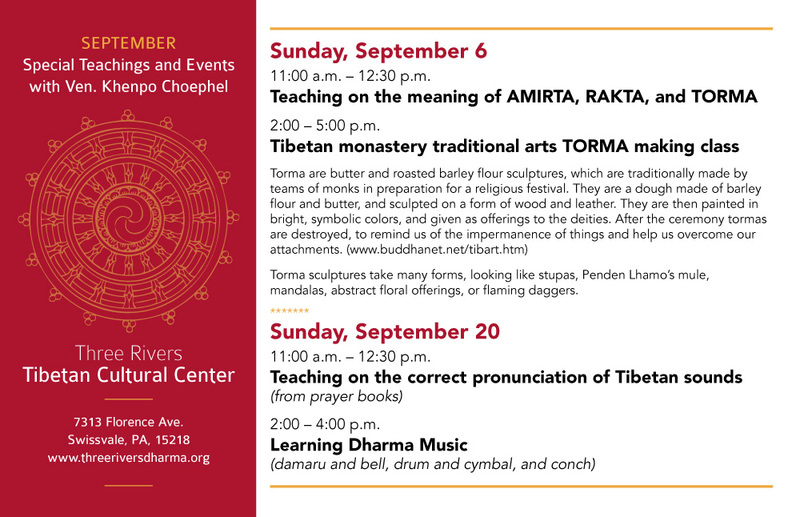 Teaching on the meaning of AMIRTA, RAKTA, and TORMA 2:00 – 5:00 p.m. Tibetan monastery traditional arts TORMA making class Torma are butter and roasted barley flour sculptures, which are traditionally made by teams of monks in preparation for a religious festival. They are a dough made of barley flour and butter, and sculpted on a form of wood and leather. They are then painted in bright, symbolic colors, and given as offerings to the deities. After the ceremony tormas are destroyed, to remind us of the impermanence of things and help us overcome our attachments. 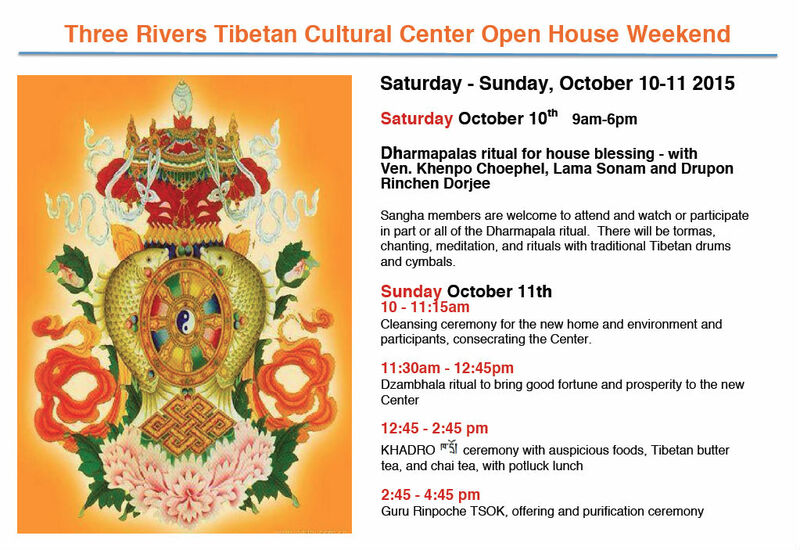 (www.buddhanet.net/tibart.htm) Torma sculptures take many forms, looking like stupas, Penden Lhamo’s mule, mandalas, abstract floral offerings, or flaming daggers. SATURDAY, AUGUST 15 10 a.m.–12 p.m. & 2–5 p.m.
SUNDAY, AUGUST 16 10 a.m.–12 p.m. & 2–5 p.m. If you can’t visit the museum in New York, visit the website for more information and audio tour and itineraries. 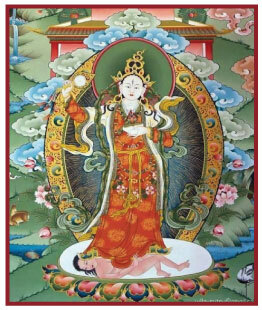 Visit the Teachings page on our website for a downloadable .pdf of recent teachings offered at TRTCC by Ven. 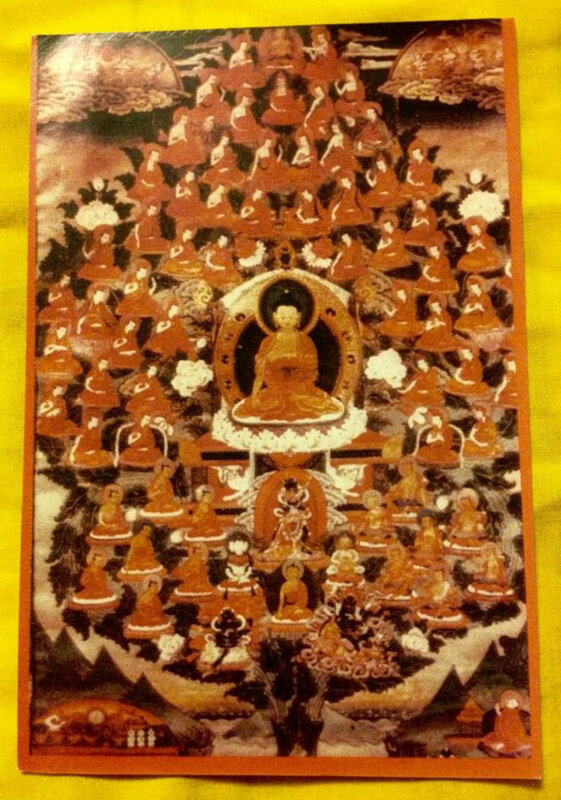 Khenpo Choephel. Thank you to Patrick for providing us with the beautiful presentation. Audio recording will be posted at a later date, so stop back! 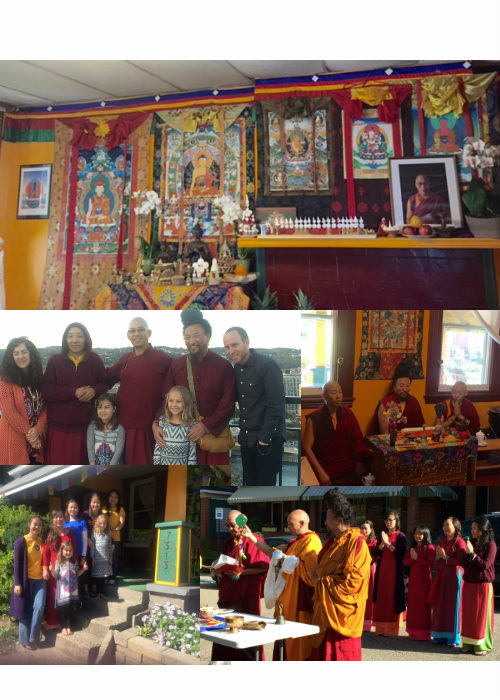 The next special teaching, Great Protector, Drikung Achi Choedron will be on Sunday, April 12, from 11 a.m to 5 p.m. See the Events page for more information. Event date changed to Saturday, February 28, 2015, due to weather.